“Have you noticed how continually in history democracy becomes despotism? People call it the decay of democracy. 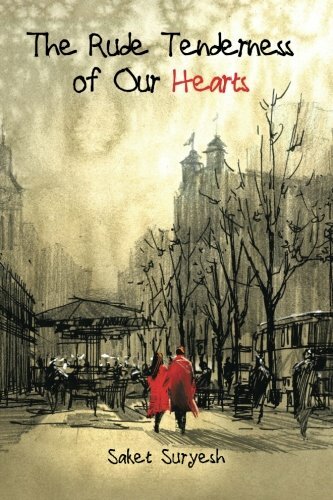 It is simply its fulfillment.” – Wrote GK Chesterton in his acclaimed political satire, “The Napoleon of Notting Hill”. This is a truth of such great wisdom told in such a simplistic manner. It doesn’t matter if he wrote it in 1905 (about a world of 1984). Democracy is a great idea but its strength lies in the constant change. You stop the churn and staleness of status quo seeps in, the water gets muddier, the stench rises and toads will croak. A monarchy derives its power from status quo, the lack of change, the permanence of structure. Democracy on the other hand, thrives on chaos, change and transient nature of the political structure. Democracy will throw surprises. It will bring people who are watching from the margins, will name the nameless, and raise them to a point where they start resembling aristocratic monarchs, complete with the small coteries as custodians of power, basis their proximity to the source of power. That is the nature of democracy. It moves from democracy to mobocracy to absolute dictatorship. Unless a society maintains a constant vigil, it suffers slipping into the despondent decadence with which every despotic power is known. We don’t have to look far to understand that. We just need to go back around five years, as the dynasty which ruled India for most of its independent history went into its second term as UPA-2. Corruption was at its peak, dictatorial tendencies where blatant and the society was in a state of absolute despair. There, to my memory, has been one instance of splendid hope in the history of independent India, when the total dictatorship imposed by Mrs. Indira Gandhi lost election, lost power and a replacement happen. But that was pretty short-lived. An era of absolute absurdity gave way to an era of complete chaos. The new power-people, who rode to the capital on the promise of safeguarding democratic values, turned out to be as despotic, as power-hungry, and as greedy as their predecessors. The custodians of public morality on whose call the masses rose against unprecedented dictatorship were quickly side-lined and unscrupulous people, closer in the matters of mind and morality to those who were displaced, grabbed power. While Indira had a fantastical notion of evil greatness about her, these people were base and greedy. Their greed, their disdain for democracy, their clinical and pathological understanding of the citizen’s greed was to hound Indian polity for long as we say in Mandal commission and then on with the emergence of casteist and communal parties like RJD and SP. INC proved that while it was merely evil, the opposition was both inept as well as evil. The stranglehold of Congress over power continued unabated. With Sonia Gandhi, a naturalized Indian (who opted for Indian citizenship after years of deliberation) taking charge, the total lack of interest in the national spirit, causes and ambition was complete. She looked at the natives as greedy people waiting for crumbs to be thrown at them. The only opposition she had was an opposition which was nothing but a milder kind of congress. The leaders of opposition tried best to be good-mannered poor kid who was just granted access into the elite circles of power. The ecosystem, the ground of which was being prepared during emergency of 1977 was now well entrenched. The media, crushed during emergency, aligned itself to the powers that be. The preamble of constitution was amended, and those who had no idea of what was happening in China and Russia, happily aligned hoping that communism was the best thing to happen for the poor, with Welfare state, literally throwing crumbs at people and the power elite getting richer by day and hours. The subjugation of the public will was complete. College campuses, except the technical and professional ones, were proliferated with leftist scholars to the extent of having absolute monarchy over young intellectual minds. Their services were compensated with appearances of power provided by awards and plush assignments. As Congress was on unhindered, unchallenged ascendancy, the common man frantically fell into the depths of unending despondency. Gloom and helplessness was the general sentiment. Brief interludes of agitation against power was no solace and gave little confidence. India Against Corruption began as a movement against blatant, unashamed corruption at high places under the supervision and support of Congress leadership. Initial version was quickly crushed by violent police action at midnight over unsuspecting, peacefully protesting people by the then Home Minister who is now found talking about humane aspects of policing in terror prone areas on compliant Television channels. With one old lady dead as a result of police action, the movement against corruption, at least version 1 of it was quickly crushed. Whatever was left of it, was smoothly hijacked by the ruling congress dispensation and leftist think-tanks by hijacking it through members of NAC, which was de-facto government under the blessings of Congress chief, Sonia Gandhi. The sullen silences of the people is the worst thing in democracy and that silence, that stillness was the hallmark of India which congress created. Nothing describes it better than a quote by Chesterton of a mythical London of 1984. I am sharing it here and those who have seen the dying of anti-corruption movement with the arrival of Arvind Kejriwal, the complete connivance of media in Nira Radia and Cash-for-votes scam and the perfunctory murmurs (never more than murmurs) by the then opposition on unending string of corruption, a policy of alienation of the majority religion, of appeasement of minority religion, will agree with the general sense of gloom which fell over the nation in the last days of UPA-2. Arvind Kejriwal had by then proven himself to be bigger crook than the scamsters of 77, forming government in 2013 with those he claimed to be the most corrupt and vowed to fight against. It is easy to forget the past, when we are over it. But we must not. It was not so far back. We would sit quietly like dead people over the death of hundreds of citizens in Mumbai. There was no way out. Then somewhere towards the end of 2013, Narendra Modi was chosen as the PM candidate of BJP. Narendra Modi was an outsider to the established regime, who was supported by BJP cadres hugely internally, and later by the nation for he was the wild card entry, the man not yet corrupted by the capital. His history gave hope to people with no immediate family, and his relatives living their modest lives in spite of three terms of Narendra Modi as the CM of Gujarat. So very unlike the leaders we knew on national scene, from Sonia to Devegoda, to Laloo to Mulayam. Stories of sudden riches were not around Modi. Modi happened in 2014. Democracy, rather the democracy, which had already reached its fulfilment of despotism hit back with vengeance. His win, his appointment as leader of the sovereign was considered an aberration, a fluke, which could be rectified, a mistake which could be amended if concerted efforts were made. The ecosystem rose in unison. It was not only a dislike of the outsider which prompted this. It was also an instinct of self-preservation. It was very fortunate for Modi that his ascent was accompanied by democratization of dissent. For long many, the silent majority, the common man, the middle-class had no space, no podium, no microphone available to him. The protest and dissent was, like everything else, held in control of few hands- the darbari intellectuals. Those who remained silent during emergency, found new voice, with undoubtedly promise and assurance of support of the old royals- the congress. A university which saw suicide of ten students during UPA regime, suddenly went on the boil about the eleventh suicide. It must have been quite intimidating for Narendra Modi. The good thing is that the venom from the past was so deep from Congress for him, when they had written to the US to not give him visa, even as an elected CM of an Indian State, that, thankfully, he never wasted time trying to fit in. That was a blessing for the nation. He began on a blank slate. The erstwhile royals and courtier did not like this commoner a bit. First there was award-wapsi. Then the media people, those people who acted as a conduit in arranging portfolios, who wrote editorials for consideration to manufacture opinion suddenly discovered their softer side. Those who remained unfazed when their fellow journalists were shot in daylight, or burnt alive; shook with terror and fury in their posh south Delhi bungalows when they were as much as jostled during a protest. Hashtag wars like #intolerance, #FeelsLikeEmergency had just begun. Modi went about his work without baggage of past and with the zeal of a fanatics. Then demonetization happened. The cash collected through corrupt means by old and new entrants in politics was rendered useless at one swift stroke. They had long since lost the habit of listening to the people. Now people did not need a platform. Technology gave the meek voice strong enough to reach their elite hearings. They had long since forgotten that as writers and artists they were creating a produce and common-folks were their consumer. They could not bear them talking back and in the process alienate them. They still felt this was a bad dream and will be over soon. They gave voice to the fake fear of the poor during demonetization. In UP election, it was fear of polarization. While Narendra Modi spoke about development without appeasement, these journalists and intellectuals took it upon themselves. Instead of staying limited to their defined role as reporter of the opinions of people who were voting, they reported their own view. Their views were strong, partisan and open. The gloves were off, the pretense was gone. Somewhere in between they would keep insisting their neutral credential, much like Winnie –The-Pooh floating with a balloon and pretending to be a cloud by singing the cloud song. So lost they were in their hope of ending this nightmare called Modi that they could not even read the disgust of the consumer of the reports they presented, they did not note when the hand that fed them twitched to slap them for their deception. They did not notice that when they interviewed the head of political party, whose candidate went into hiding, after FIR was registered on his (only post the intervention of the Supreme Court) and ended up asking favorite vacation place (London, said the socialist leader of the poorest state in the country), how the viewer cringed and held his daughter protectively. Narendra Modi, literally, came, saw and conquered. The untiring warrior ended his tally with 4/5 in this five state elections. These reporters would come back smug saying how those who thought demonetization will result in rejection of Modi in an election had egg on their face as Modi won the election in most populous state with population adding up to more than the population of UK, France and Germany put together with a clean sweep. It never occurred to them that they themselves were the people with egg on the face that they were talking about. They complained polarization of majority community. No one explained it better than Arif Mohammad Khan who left congress protesting their Muslim appeasement policy. He said in a TV interview that it was not Hindus who voted for two nation in 1947, but when Muslims voted for it, Hindus were left with India. They had no say in it. Similarly, in a state like UP, where you are polarizing Muslims, with Mayawati, shouting from rooftop, urging Muslims to vote for her, stroking their fears, which both SC and ECI ignored; it was but natural for Hindus to polarize in the only direction which was available to them. Suddenly the guilt associated with being Hindu was gone even for the educated Hindus. They suddenly had a plausible option. And don’t get me wrong. Hinduism is an inherently secular religion. It doesn’t work on the principle of everyone following Hinduism, it is not expansionist religion. It only wants to exist in peace. Hindus did not turn to BJP for a Sadhvi or a Maharaj. Hindus did not want to vote, irrespective of what media might say, to ensure that all resources be taken away from Muslims and given to Hindus. 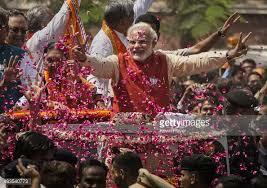 Hindus went with Modi, because unlike a Mayawati or Akhilesh who promised that all will be given to Muslims and Dalits only in case of former and to Muslims and Yadavs, in the case of latter, leaving Hindus out of the equations; Modi promised that development will be brought to Hindus and Muslims alike. These elections have changed many equations. Pundits are down in the dust from their high pulpits. Some journalists, even now have taken the task of acting like some sort of political opposition to Modi, since the real opposition is decimated. Nothing wrong in journalists joining politics, per se. But don't do proxy politics. The nation is watching. Audio-Visual medium makes you public persona, and you must learn to handle severe public scrutiny. We can only hope that they realize that Narendra Modi is there to stay. Media as a proxy to political opposition does disservice to both media as well as to the politics of the nation. Narendra Modi is not an event in arbitrariness, He is writ firmly on the fate of this nation waking up to the possibility of its greatness. This message goes to the opposition and Narendra Modi alike. Media also must wake up to the new scheme of things with democratization of the space for debate. They have long spoken and listened to themselves. Irom Sharmila's pathetic loss in Manipur and Arvind Kejriwal's shameful defeat in the two states AAP contested is living testimony to that. Both must not treat it as a fluke, and both need to rise to the occasion. This is to important an occasion to be squandered. Change is happening, dreams are taking shape. We hope entire cabinet of the PM is listening the hope of the people who were denied voice for so long. Silence is snapping and it is snapping like thunder. Very well written indeed. A synopsis of Indian political scenario from independence till now. I feel that a nation or anything for that matter can only be run by a single leader at a time. A team just can't do it. If if there is a team it can't function without a strong leader. And the strength of a leader comes from the strength of character. Without a strong character as a pillar one gets swayed by the storms of power and money and so much more. A weak character just cannot survive the temptations brought on by power. And a dimension that makes a strong character is the power of purity or celibacy. Modi has it all. So he is tough to shake. And thats what makes opposition nervous. Bharat has been the oldest and at the centre stage. People came, looted, stayed.. we accepted and accomodated all. But when the intruders start throwing you out of your own home one cannot take it any longer. Let's hope that Modi lives up to the hopes of this country. Thanks a lot for dropping in and sharing your feedback. I'm glad we agree on it.